Posted on January 24, 2014 January 24, 2014 by Heather W.
Do you love makeup and Walmart? I have teamed up with several other bloggers to bring you this $100 Walmart Gift Card giveaway, sponsored by CoverGirl! CoverGirl has a new line of makeup called Bombshell, and Bargain Hound did a full review, tutorial and video on this new line of makeup from CoverGirl. You can read Bargain Hound’s review here. 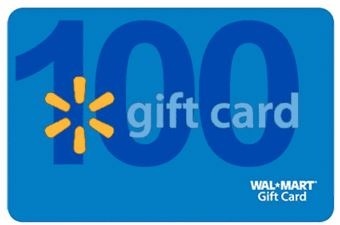 Just fill out the Giveaway Tools below, to enter to win this $100 Walmart Gift Card giveaway! This is open to US residents 18+, and will end on 2/17 at 11:59pm EST. Disclosure: This blog is not responsible for prize fulfillment. CoverGirl will be sending the $100 Walmart gift card to the winner directly. I haven’t worn much makeup in a while, but I always like to put my lip balm on before going out. I don’t wear makeup on a daily basis. I leave the house all the time without makeup so I can’t really answer this question. When I do makeup, it is minimal- tinted moisturizer, mascara, and blush. I don’t leave the house without my Lip gloss or lip balm. I cannot do dry chapped lips. Lipstick is my must have item. Because of my eyelashes being so light, I never leave home without mascara. I never leave my home without Mascara! If I don’t wear it, the only thing I hear all day is, “man, you look really tired today, are you alright?” Lol! Makeup? Daily? Closest I come to that is a moisturizer. I have to have Chapstick and mascara thanks! Lip balm is always a must- but not really makeup I guess. I would not leave home w/out my foundation, lipstick & eyeliner!! 2 things, eyebrows, eyebrow pencil rather. And physicians formula blemish cover with salysilic acid. I always have my lip pencil with me. I don’t leave the house without Mints, and Lipstick, Lip Gloss. Lip gloss and eyeliner. Perfume if you are including that! I don’t leave the House without my Lip Gloss. I dont leave the house without my lip balm. I can’t leave the house without my lip balm or gloss. Can’t stand dry lips. I never leave the house without lip balm or lip gloss.